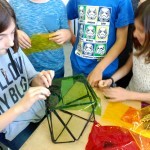 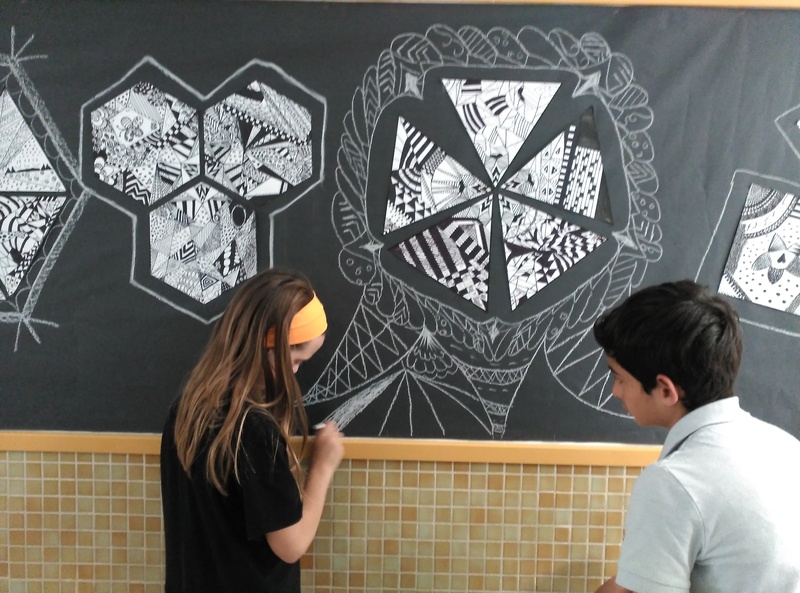 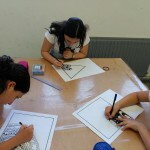 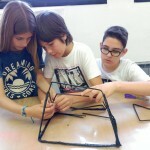 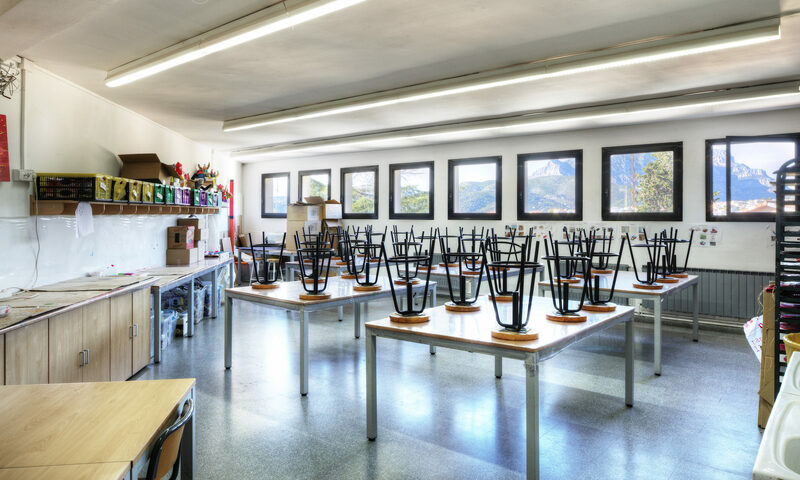 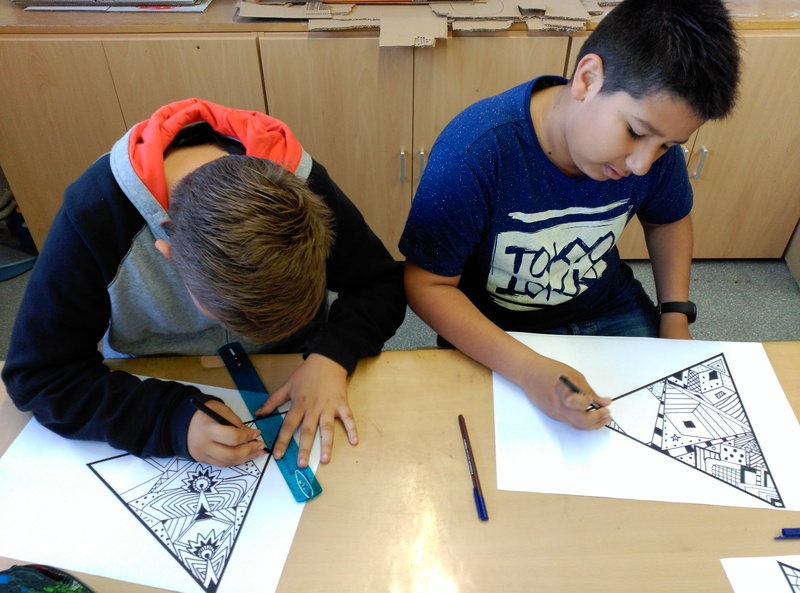 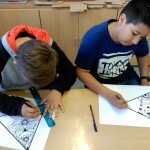 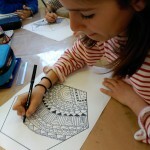 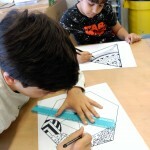 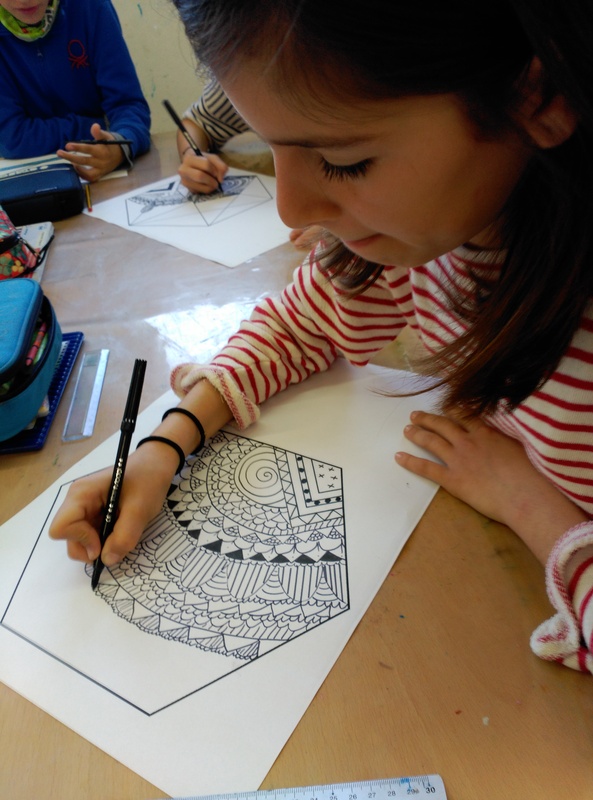 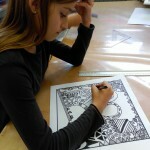 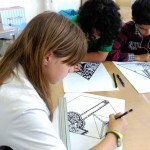 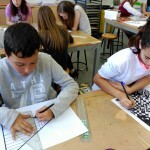 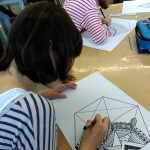 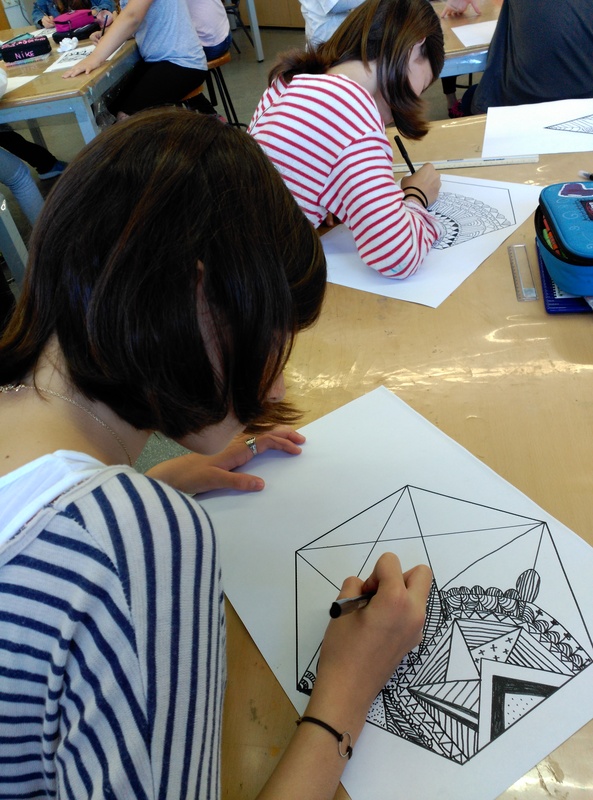 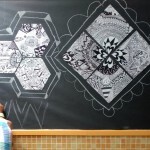 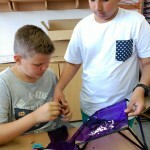 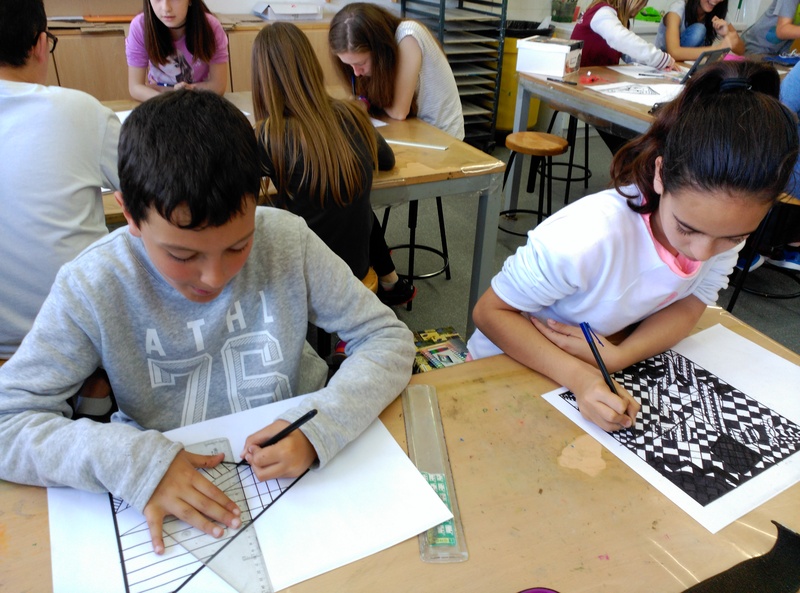 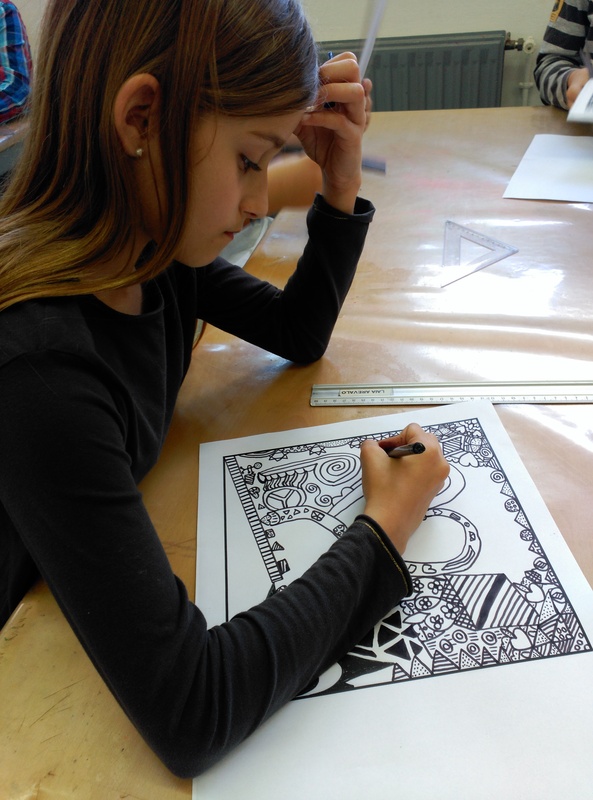 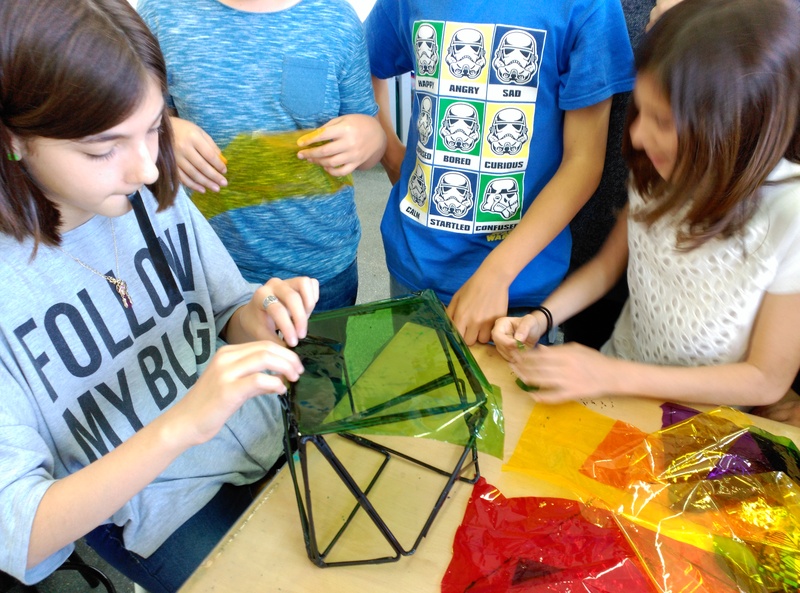 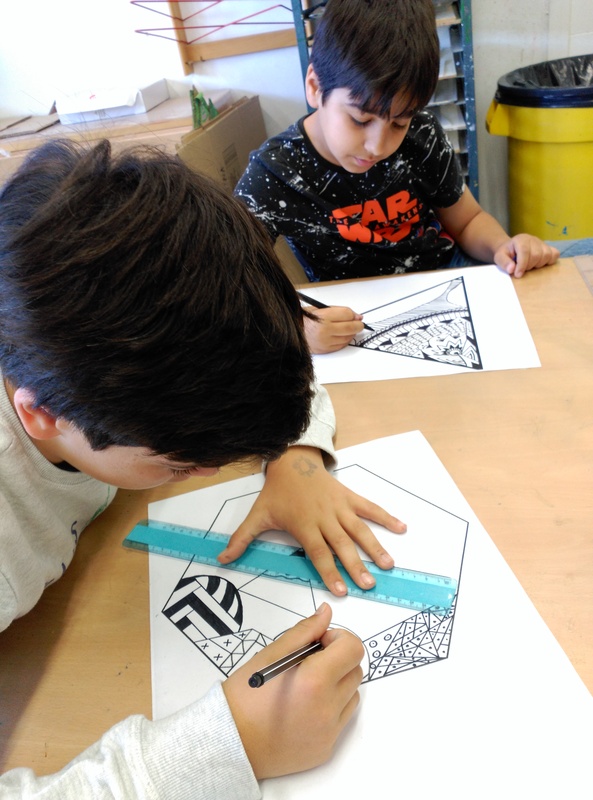 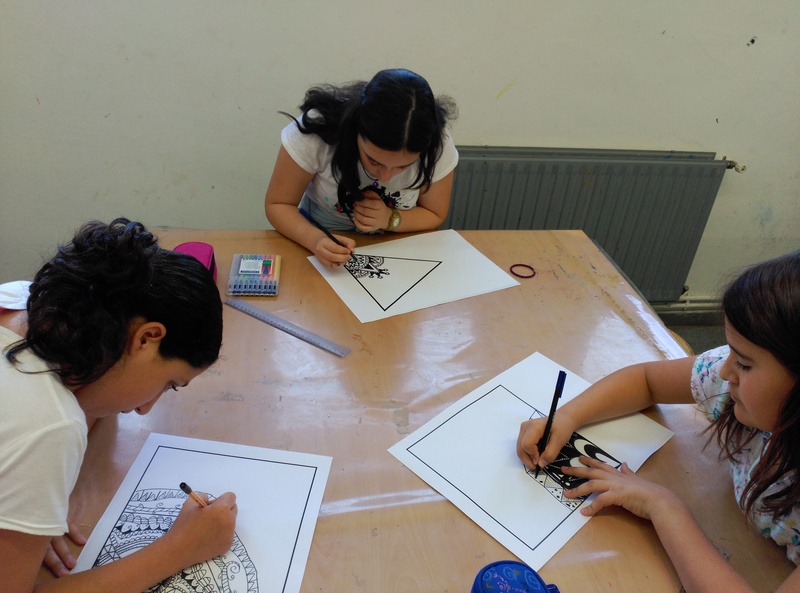 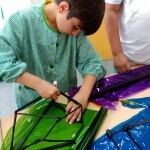 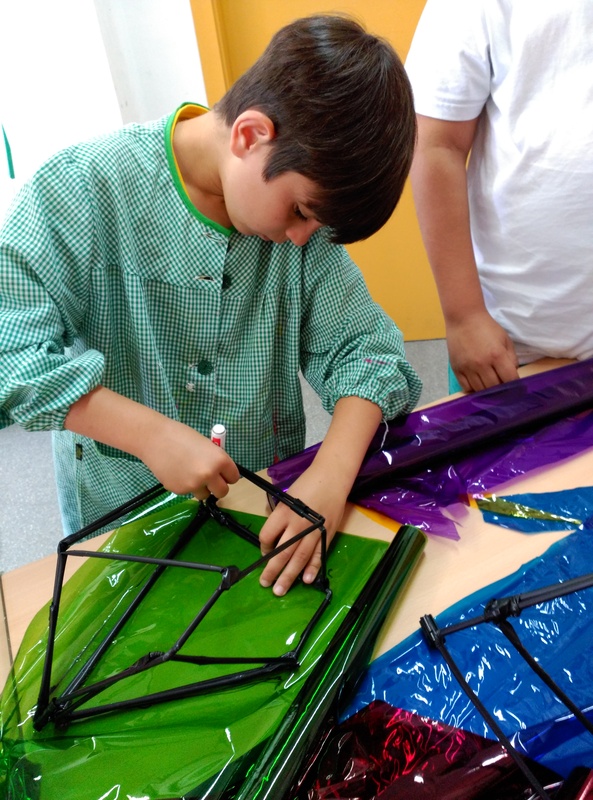 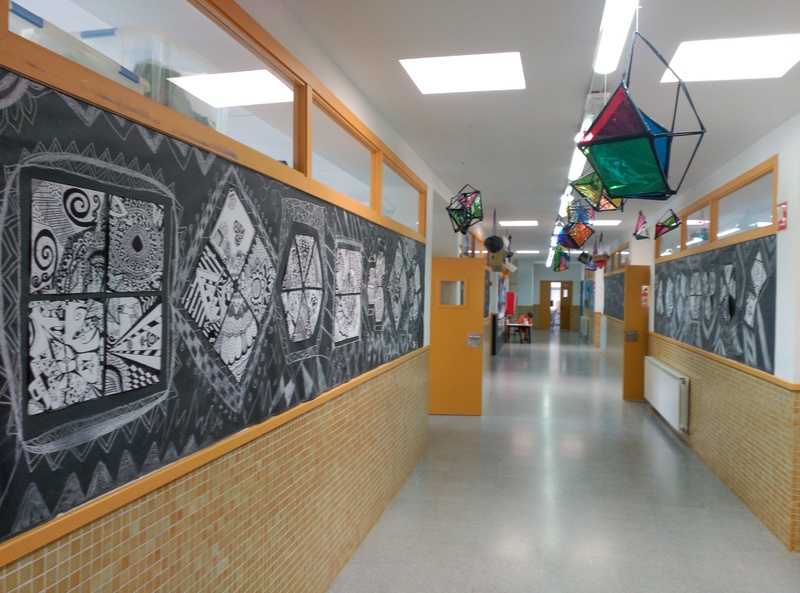 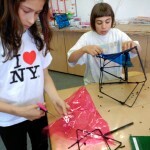 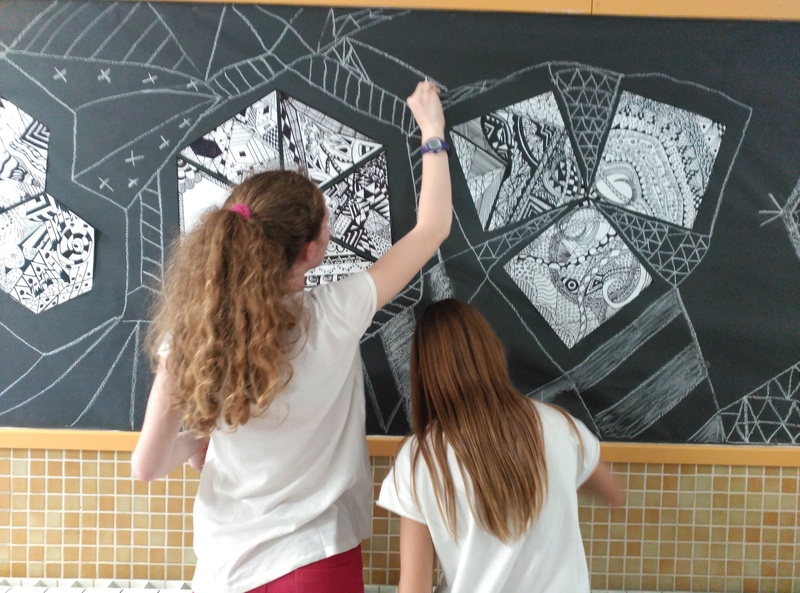 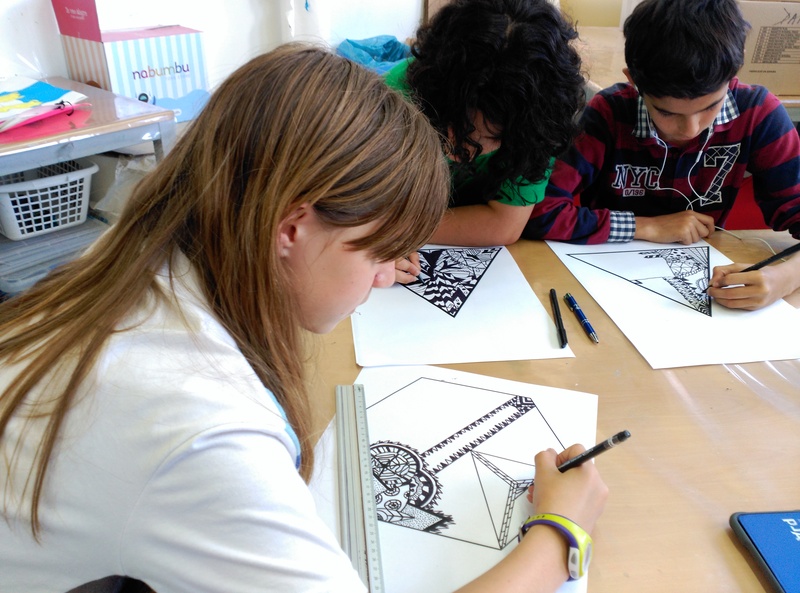 The sixth graders have been working on geometrical art. 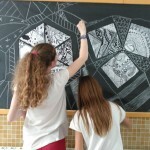 Firstly, they do a geometric black and white tile. 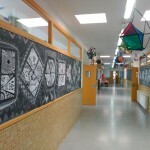 When we had all the tiles, we put it together to create a two-dimensional mosaic. 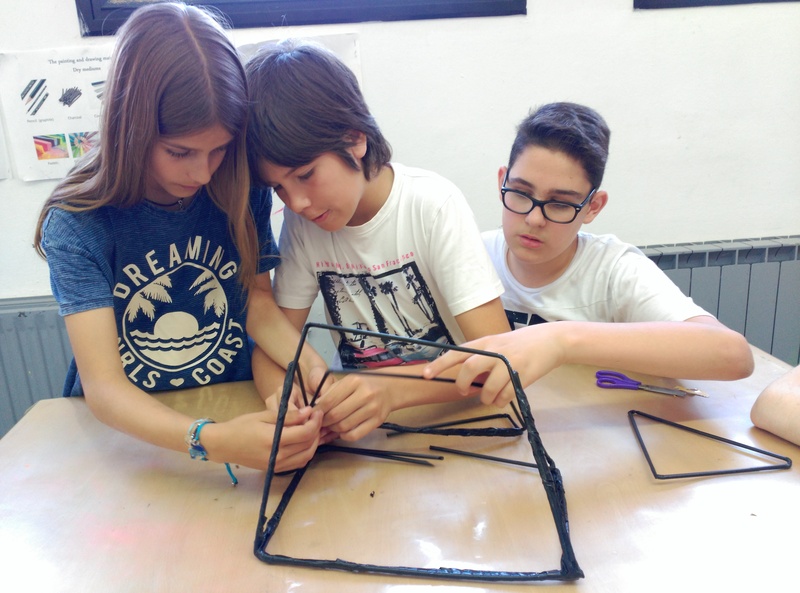 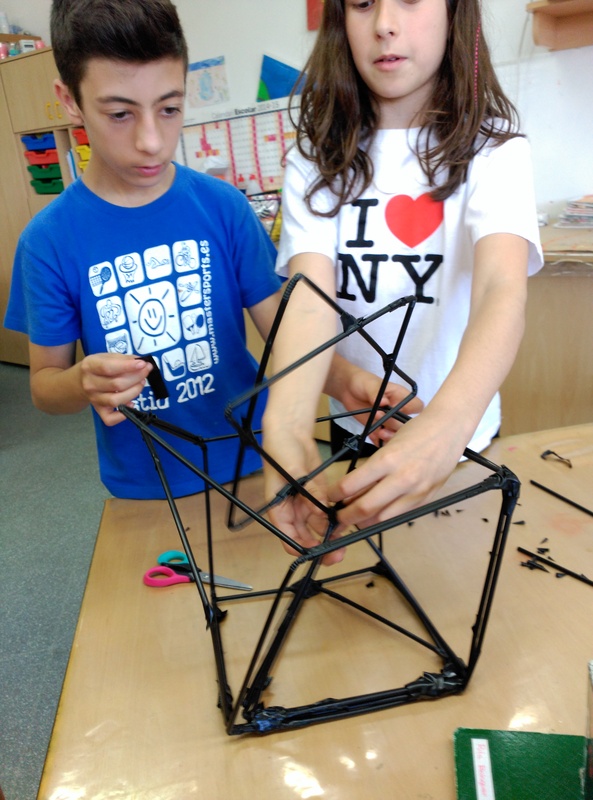 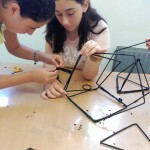 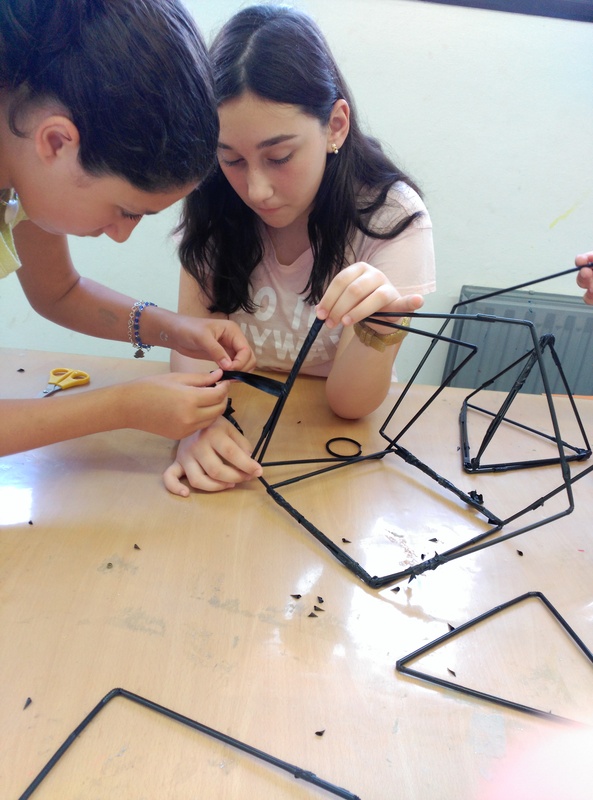 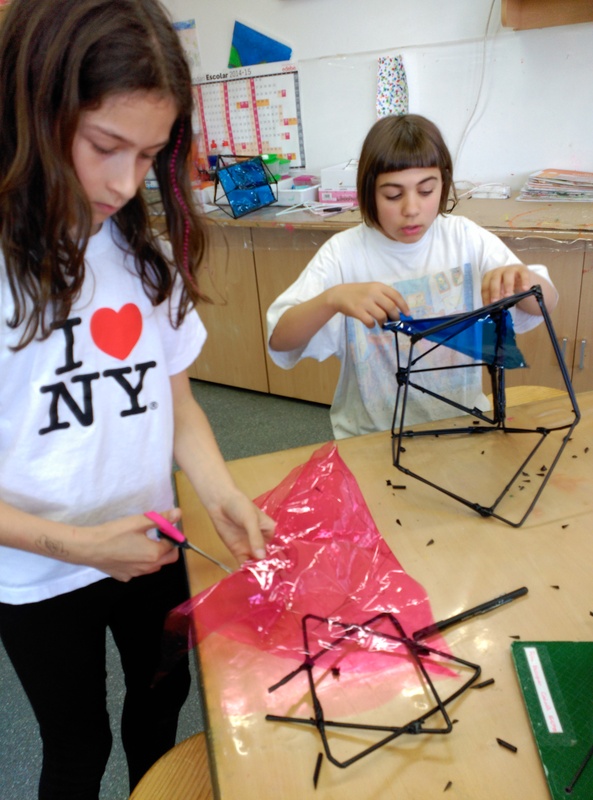 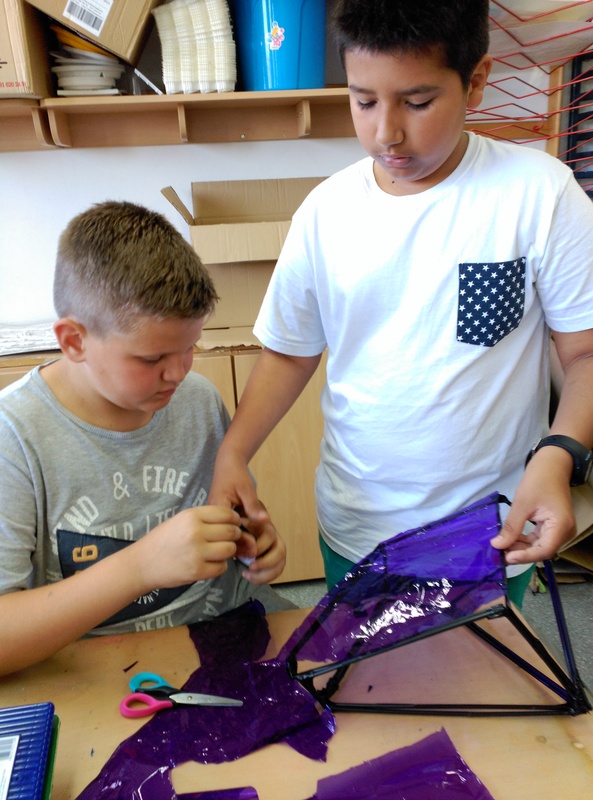 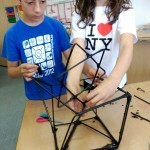 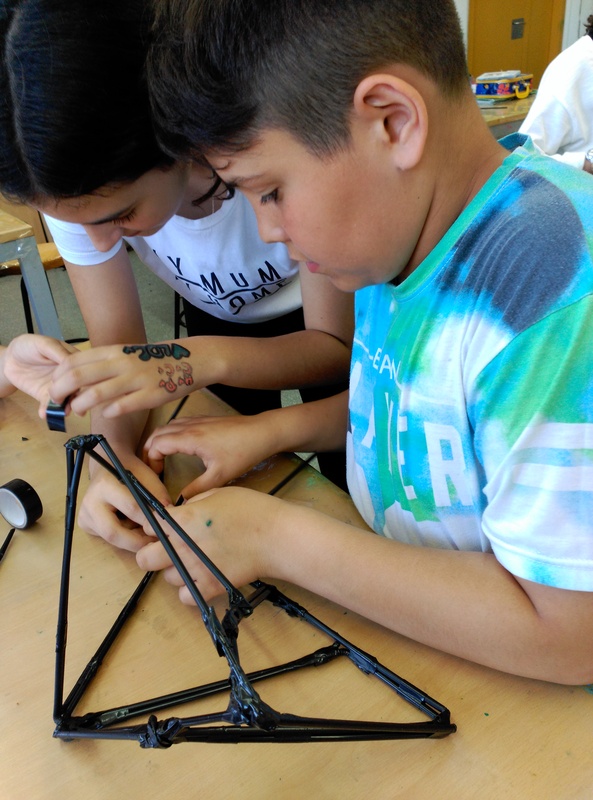 Finally, we built a three-dimensional sculptures starting out of the shapes like squares, triangles and pentagons.